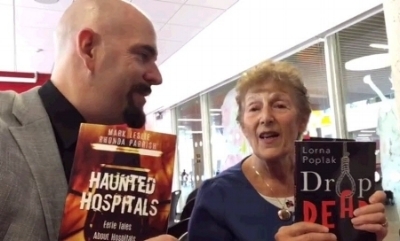 Lorna shares her thoughts about Drop Dead with audiences across Canada. Murder, mayhem, intrigue and revenge came to Newmarket. As one of the events celebrating the 35th anniversary of the Crime Writers of Canada, six area crime writers came to Chapters to meet their readers and promote their books [on Saturday, October 27]. Lorna has a featured post on the John Howard Society of Canada's blog where she discusses the history of Toronto's Don Jail. 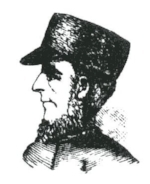 Henry Smith, shown in 1890 newspaper sketch. Lorna with Mark Leslie at Word on The Street Halifax.